In 2014, I first heard that my favorite Disney animated film of all-time was going to become a live-action movie, I shuddered at the very thought. Beauty and The Beast was the first Disney animated film that broke away from the mold of the typical Disney princess. Belle was a strong female character. She was smart, she was pretty and she knew what she wanted in life. And she could see past the exterior of a person and see what's in their heart. Unforgettable songs, gorgeous animation and a fantastic story combined to make this, not only my favorite Disney animated film, but the favorite of millions. There would be little forgiveness if the live-action film was not handled with care. 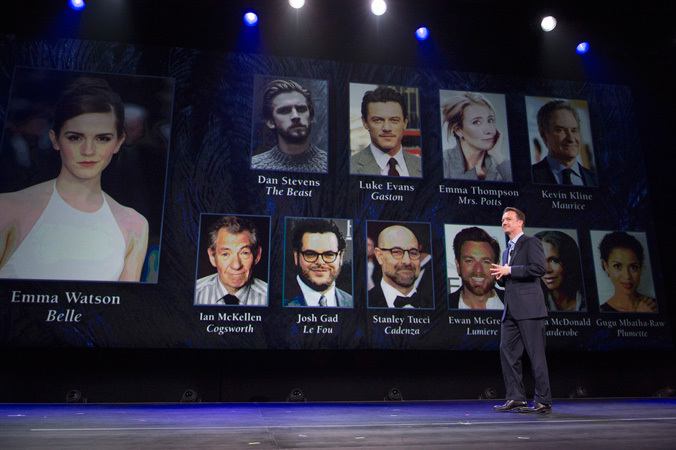 Then in 2015, casting began to be announced. In January, Emma Watson announced that she would play Belle and I instantly fell in love with this project. And then later that year at the D23 Expo, the rest of the cast was announced and the first footage was screened. I, along with 8,000 others were floored by what we saw, the first glimpse of Emma Watson in the iconic gold ballroom gown as well as Gaston and LeFou in town. You got a sense of scale and that this was going to be something special. The filmmakers were handling this with very special care. The film truly delivers as you get what you love from the animated classic but with new elements that fit perfectly in the existing framework that help expand the characters within their world. By no means is the storyline vastly different, you know what you are going to get. The Beast is cursed because of his cruel ways. Belle is a book-loving girl that wants so much more than what her small village can provide. You get Belle imprisoned in the castle, an unexpected friendship turns into something more and then an epic love story blossoms. The casting is superb from top to bottom. Emma Watson is perfect as Belle, from her intelligence, to her beauty to her love of books. Emma is in fact the real life Belle. Dan Stevens brings the upset and soulful Beast to life. 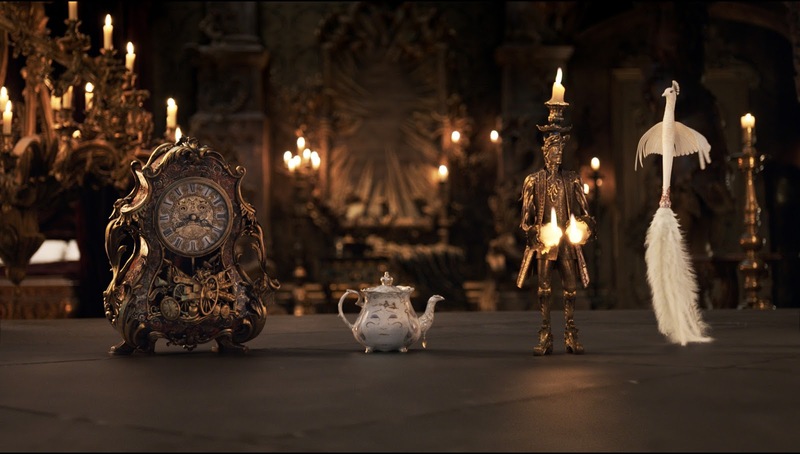 The enchanted objects of Lumiere, Cogsworth and Mrs. Potts are expertly brought to life through the fine vocal performances of Ewan McGregor, Sir Ian McKellan and Emma Thompson. The additional enchanted objects are also magically brought to life by wonderful vocal performances by Madame de Garderobe (Audra McDonald), Chip (Nathan Mack), Plumette (Gugu Mbatha-Raw) and the newly-created Maestro Cadenza (Stanley Tucci), a composer transformed into a harpsichord. Luke Evans and Josh Gad play Gaston and Lefou and literally steal the show many times here. Josh Gad shows off his musical strength here and Luke Evans plays Gaston to his dastardly best. You can tell the two formed a close friendship during production and it shows in every scene they are in. Kevin Kline is unbelievably charming as Belle's father Maurice. his character gets a little more attention as we find out more about him and about Belle's mother. Those scenes are sweet and at times heartbreaking. We also get further insight into the Beast's parents. 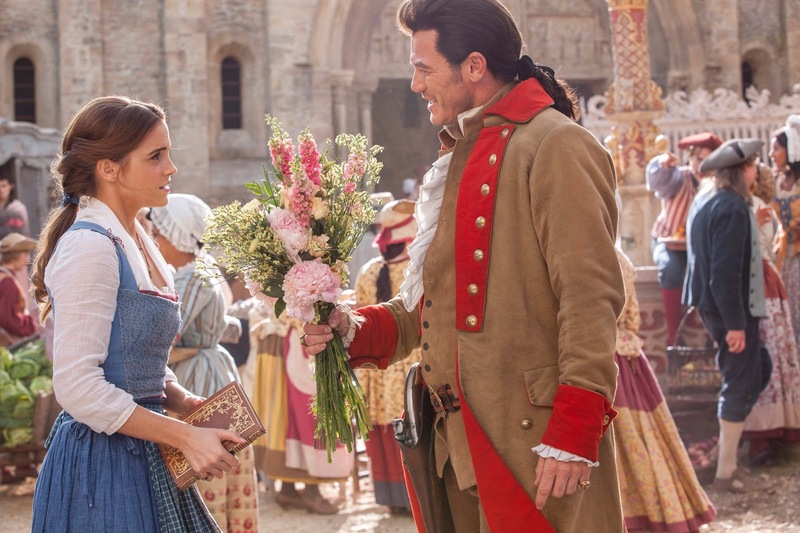 These scenes help us learn more about Belle and Beast and how they have been shaped into who they are. This helps ground the characters into a greater sense of believability that even the animated classic could not accomplish. As far as the music is concerned, we get the songs we all know and love with some lyric changes as well as three brand new songs. The new songs blend in seamlessly with the other songs and help create this classic Hollywood musical film feel. Emma Watson can hold her own and all the iconic songs with Belle have been playing on repeat for the last several days. Stevens has a wonderful signing voice and you can feel his power as he sings "Evermore." Thompson is wonderful in the title song. Ewan McGregor reminds me of his Moulin Rouge days as he sing the audience pleasing "Be Our Guest." But Evans and Gad brought the house down with their performance of "Gaston." 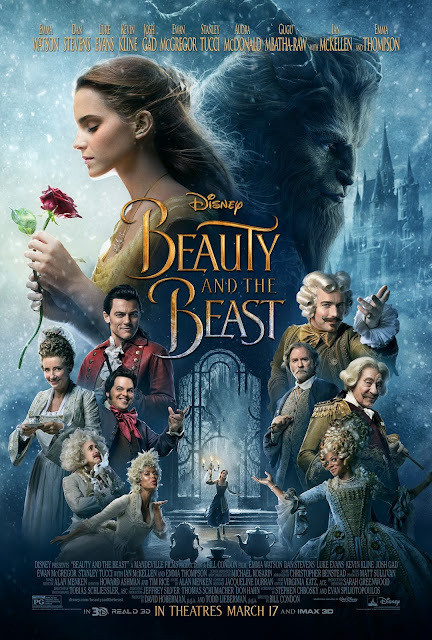 A gorgeous film, filled with an amazing cast, and additional changes to the storyline that work flawlessly into the existing framework to create a movie that expands the characters and their world will be one that you will want to see again and again.